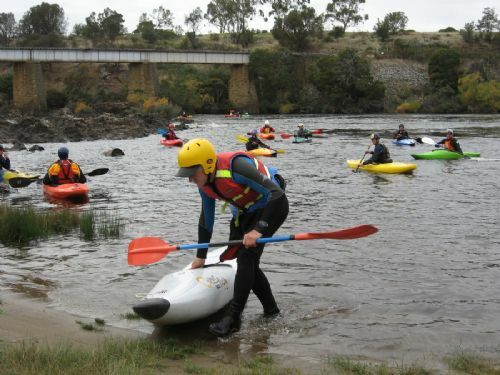 Paddle Tas will be running a Flatwater Lifeguard/Guide/Instructor training and assessment course for an Paddle Australia Qualification (PAQS award) the weekend of March 16-17 at Kingston Beach. Paddle Tasmania will conduct a 2 day Flatwater Lifeguard/Guide/Instructor Course based around Kingston Beach. The course will commence at 9am – 4pm at the dog beach end of Kingston Beach on Sat, March 16 and 9am – 4pm on Sun March 17. Please meet at the Kingston Beach side of the footbridge. Assessment for this course (for either FW Guide or Instructor, or Canoe Lifeguard, dependent upon participant previous experience and meeting the ACAS criteria) will occur both informally and formally over the two days. Please see attached supporting document for the explanation between the awards from the AC website to see at which level the participant is aiming for or requires. Any currently used risk management or lesson plans if available. These are not required at the time of the course, but if you are using some, bring them along for review.